Chiropractic adjustments may be a good option for athletes looking to get stronger.. 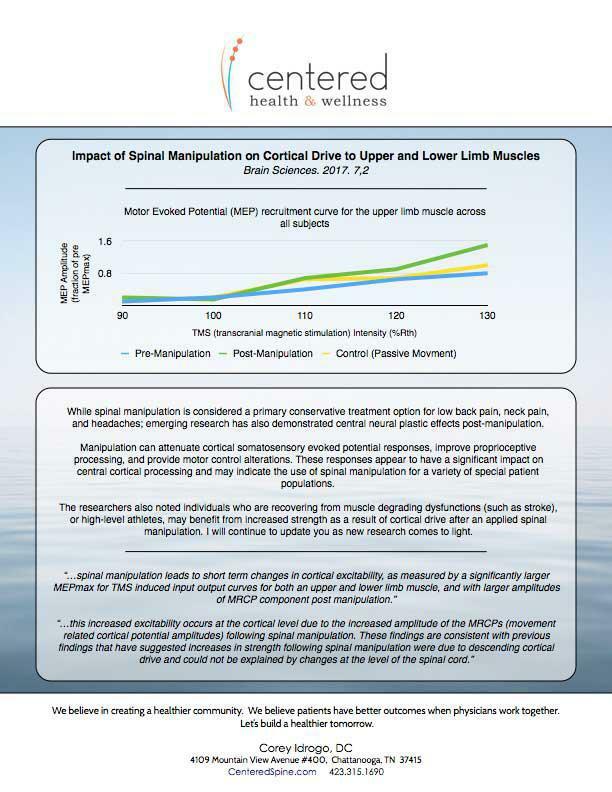 Centered Health & Wellness Blog Chiropractic adjustments may be a good option for athletes looking to get stronger..
and headaches; emerging research has also demonstrated central neural plastic effects post-manipulation. manipulation. I will continue to update you as new research comes to light. post-adjustment. The applications of this research in the clinical setting are wide reaching and exciting. Hope you enjoyed this and if you want to learn more about the office, Feel free to contact us with any questions!